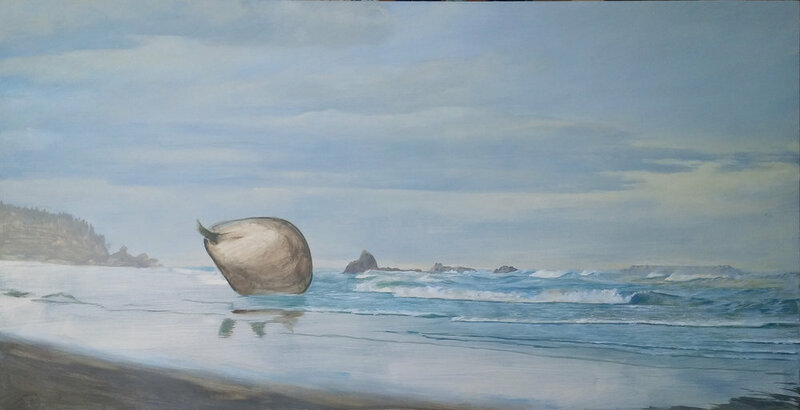 “First Contact” was inspired by a walk on Ruby Beach, Washington. The surreal, almost alien-like surroundings conjured in my mind the myriad possibilities of what the tide may bring in. 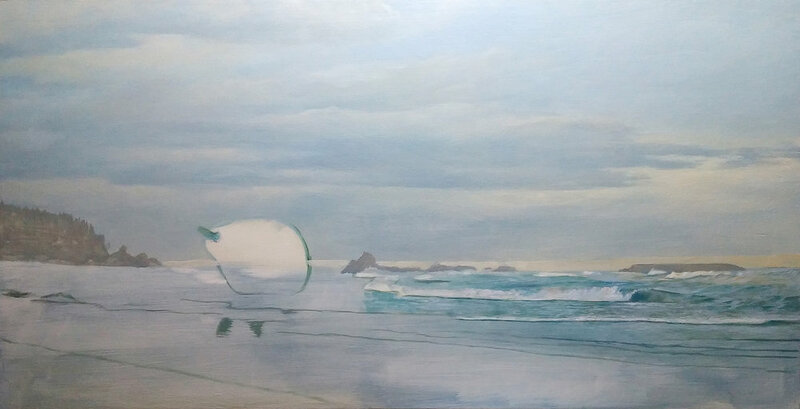 As a Vancouver Surrealist, I am faced with many challenges. 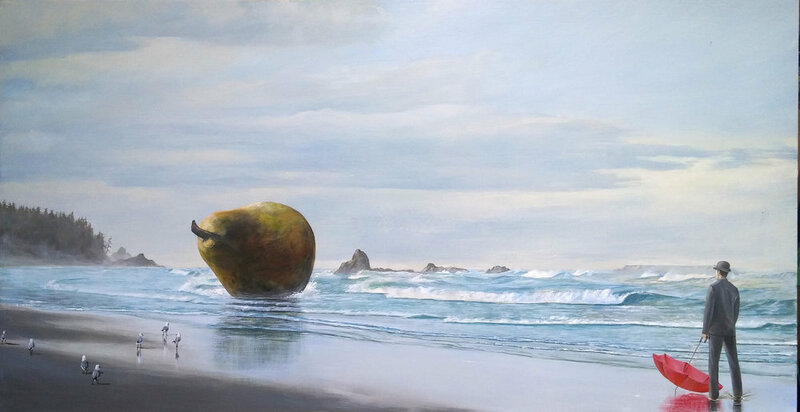 One being the understandable love of the landscape by the locals, and two being the fact that 95% of art buyers here have a very traditional taste for art. There are many other aspects of this field that throw challenges at me everyday, but my love of the masters such as René Magritte and my hero Salvador Dali has me happily trapped in a world that I cannot - nor wish to - leave. I remember walking along this particular Washington Coastline at a place called Ruby Beach. This place rocked my world. I felt as though I was an explorer and that I had just stumbled upon a beach that no one had ever seen before. This feeling inspired “First Contact”. I wanted to create an image to make my viewers feel as though they were seeing something for the very first time. 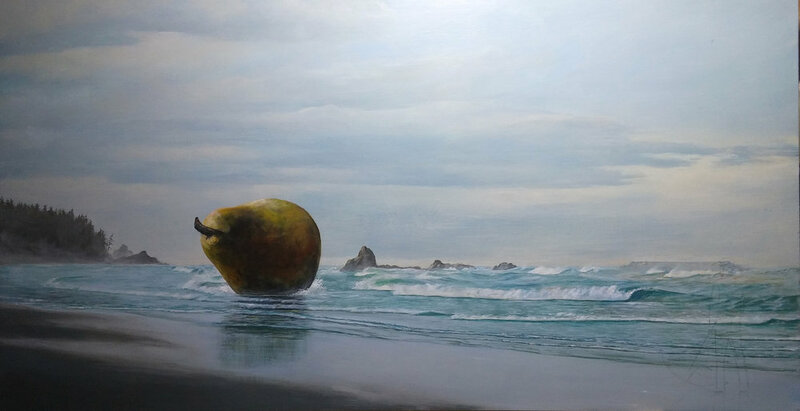 Of course that meant adding a giant pear washed up on the shore. 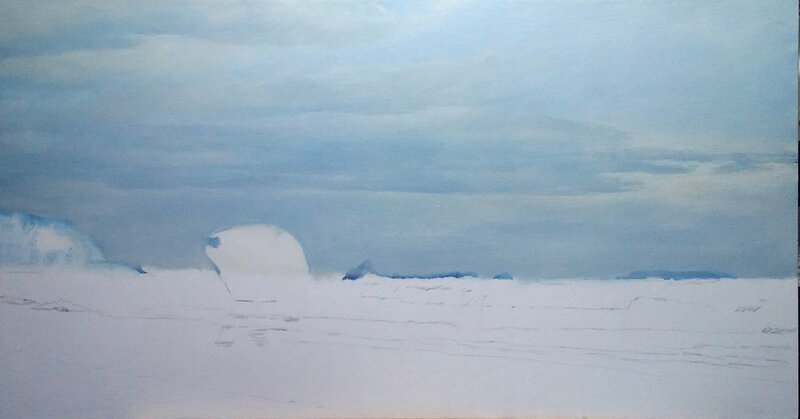 I have in the past been a landscape painter and it is a huge part of why I love being a Vancouver artist. This piece allowed me to feed both my surrealistic and realism urges, and create a truly unique piece of art.